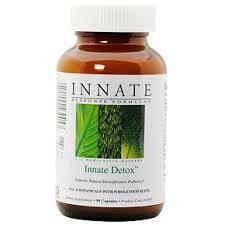 Innate Detox exemplifies the formulation philosophy of Innate Response. The concept of enhancing the body’s own innate ability to detoxify itself and clear the pathways to rid the body of harmful toxins is consistent with the overarching mission of Innate. In addition, by including less ingredients at clinically effective dosages, Innate Detox shines as one of the industry’s premier therapeutic purification products. By combining the most supportive, potent botanicals such as milk thistle and dandelion with a therapeutic dosage of N-acetyl cysteine with a cruciferous food blend Innate Detox brings about the most profound effect on the detoxification pathways of the liver. 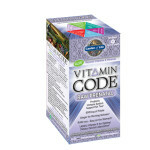 This formula is a foundational purification product that is ideal for patients intending bring about a purifying change to their overall health and incorporate powerful liver support with synergistic cofactors and supportive nutrients. Milk Thistle: Milk thistle extract may support the liver by optimizing the detoxification pathways specifically phase 1. 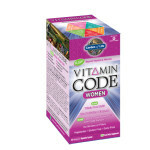 As with other bioflavonoids, silymarin can be a powerful antioxidant1, which becomes critical during the detoxification process especially after phase 1 is completed. N-Acetyl Cysteine: NAC is an amino acid and precursor to intracellular cysteine and glutathione, both of which are integral to the detoxification pathways. Studies have demonstrated that NAC appears to exert protective effects by modulating glutathione metabolism and the biotransformation of mutagenic compounds2. 1. Feher J, Lang I, Deak G, et al. Free radicals in tissue damage in liver diseases and therapeutic approach.Tokai J Exp Clin Med 1986;11:121–34. 2. De Flora S. In vivo effects of N-acetylcysteine on glutathione metabolism and on the biotransformation of carcinogenic and/or mutagenic compounds. Carcinogenesis. 1985 Dec;6(12):1735-45.